It's always invigorating, the singing is enthusiastic, and the company is friendly. A warming mug of home-made soup and a glass of ‘festive refreshments’ make it extra special. Wrap up warm. Donations accepted. 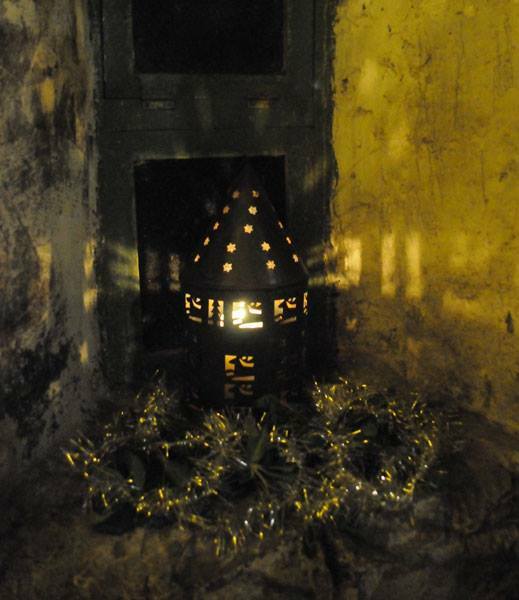 We had a lovely day welcoming visitors to Doors Open on Saturday. Please take time to fill in the online survey and let them know about your experiences. To celebrate 100 years of 'The Rural' in the village, there will be a Cousland SWRI Centenary Exhibition in the cottage. Lots of 'retro' activities to try including Carpet Beating, Butter Churning, Granny's Wash Day, Horse Shoe Quoits and more! Demonstration of Blacksmithing happening throughout the day in the forge. Soup, tea, coffee and cakes will be available in the marquee and local produce from the organic plots. Something for everyone, so do drop in for a visit! 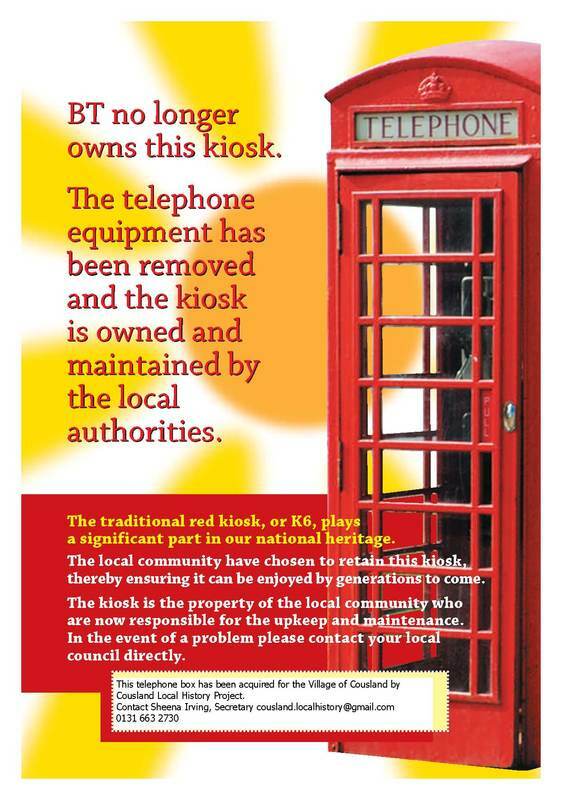 Hooray - the red telephone box is now ours for posterity. so it will continue to be in it's historic position. A popular idea for use is as an information point for visitors, walkers, cyclists where they could find walking maps, local historical information, event info. and also a book borrow. ​Defibrillator was an idea, there are plans to possibly locate one elsewhere in the village. ​Sheena Irving, Chair of the Smiddy Trust was delighted to be invited to present the 3rd annual Tynewater Heritage Trophy to the winning pupils at the last day of term Assembly today. 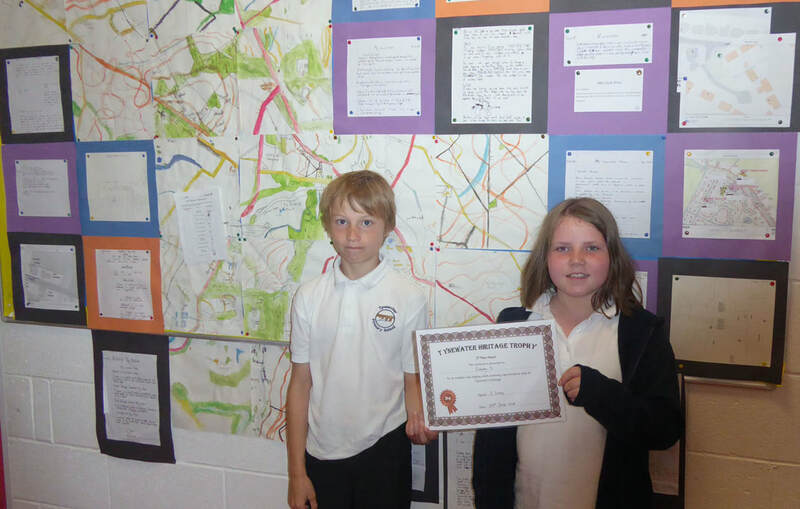 The winning class were P4 with a well thought out and presented display on Midlothian's Farming Heritage. Well we had a fabulous day on Saturday 9th - the sun shone all day for us and we had over 100 visitors who enjoyed 'retro rural' themed activities, such as Granny's Washing Day, Live Butter Churning, crafts to try, Guess the object and more. We hope to revisit some of these for Doors Open Day 8th September.meanwhile many many thanks to the volunteers and SWRI members who made it possible. Here are some images for you to enjoy! 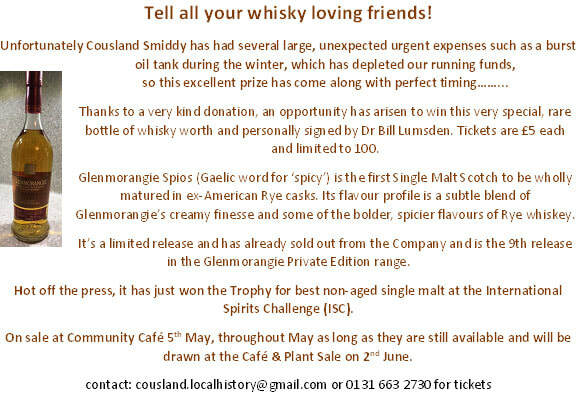 Glenmorangie Private Reserve Spios whisky raffle ending Soon! 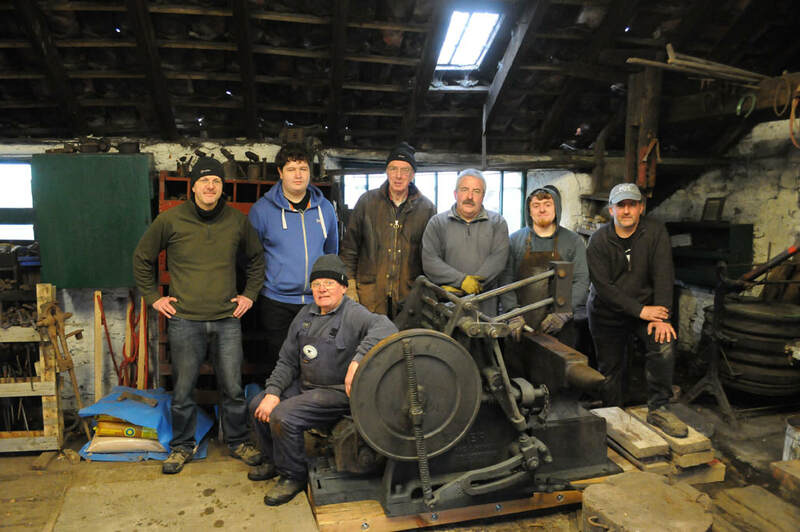 A call went out to the village yesterday for some 'muscle' to help install a power hammer in the smiddy for Sean the blacksmith. 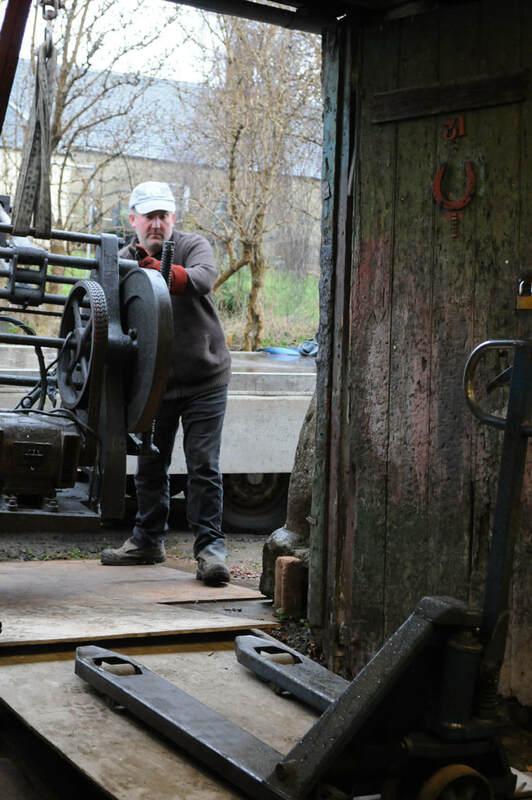 As ever volunteers arrived suitably kitted out and when the hammer was delivered by Ratho Byers Forge who had had it in storage until the location was ready, helped to guide the machine weighing over 1 ton into position onto a purpose built solid raft, made especially to provide a level surface and protect the listed flooring. Over 1 hour later all was complete and a traditional brew was provided. Many thanks again to all who took part in this efficient and well planned exercise.